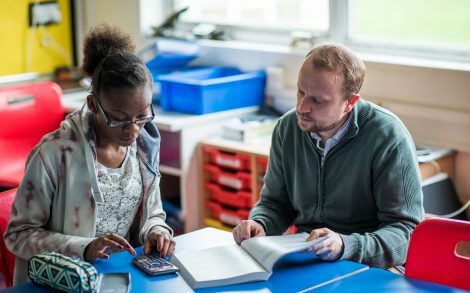 ACER and Natspec, in partnership, are pleased to announce a successful bid to the Education and Training Foundation (ETF) to lead a new project focusing on study programmes for SEND learners. Our work will be part of the SEND Workforce Development Programme, which is now entering its second year, led by the ETF on behalf of the Department for Education (DfE). Our project, which is part of a suite of projects collectively entitled “Improving Outcomes for SEND learners”, will help providers design and deliver high quality study programmes for learners with SEND (including those with and without EHC plans). Bookings for these events can be done via the ETF website. The project is open to all providers in the FE and Skills sector. Participants at the launch events will hear about existing resources available, consider how they can improve their study programmes and learn about how to apply for further funding from the project. Providers will then be invited to work within clusters to work collaboratively with the support of an experienced SEND consultant, to share good practice and plan and undertake activities to improve their study programmes. Each cluster of 4-6 providers will work between mid-September and mid-February to improve practice in a selected aspect of study programme design and delivery. The outputs generated by the clusters during the project will be used to generate a bank of CPD resources for the wider sector. These resources will be made available via the Excellence Gateway and/or Foundation Online. The final part of the project (Feb – Mar 2018) involves sharing the outcomes from the different clusters, and four dissemination events will be held for participants to consider how they can use the learning from this work to drive forward improvements to study programmes for learners with SEND in their own organisations.